I wanted to serve something with steak that had that “anytime” feeling. Steak and fries are the epitome of “anytime” if you’re eating out at your favorite local hangout. I’ll leave the fries to the local hangout. At home, I want to do something different. 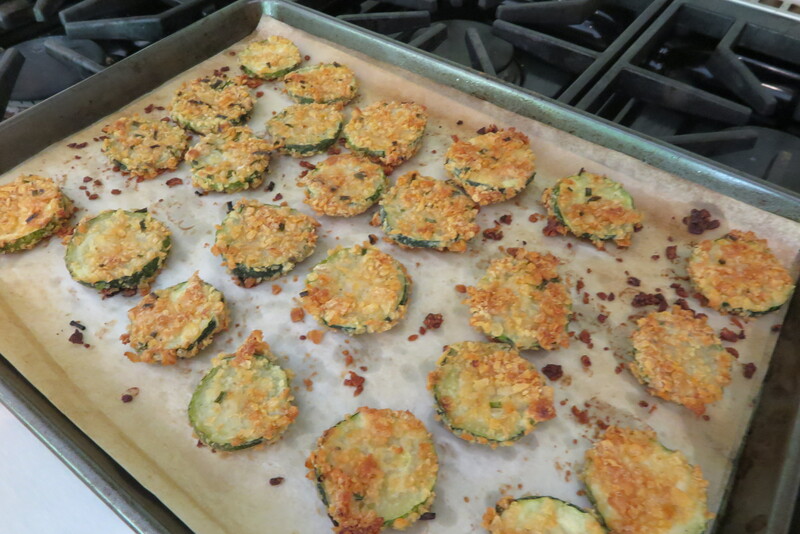 A crunchy baked zucchini chip was my solution for a substitute to the crispy French fries. The zucchini chips are coated in potato chips (still going after the French fry thing) seasoned with garlic and fresh chives. 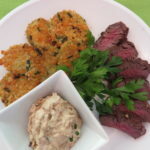 Serve with the refreshing Caramelized Onion & Horseradish Dip (no ketchup here!). Preheat the oven to 450 degrees. Line two baking sheets with parchment paper. Spray the parchment paper with cooking spray. In a large bowl, toss sliced zucchini with garlic & pepper. In a food processor finely chop the potato chips until they are the consistency of panko crumbs. 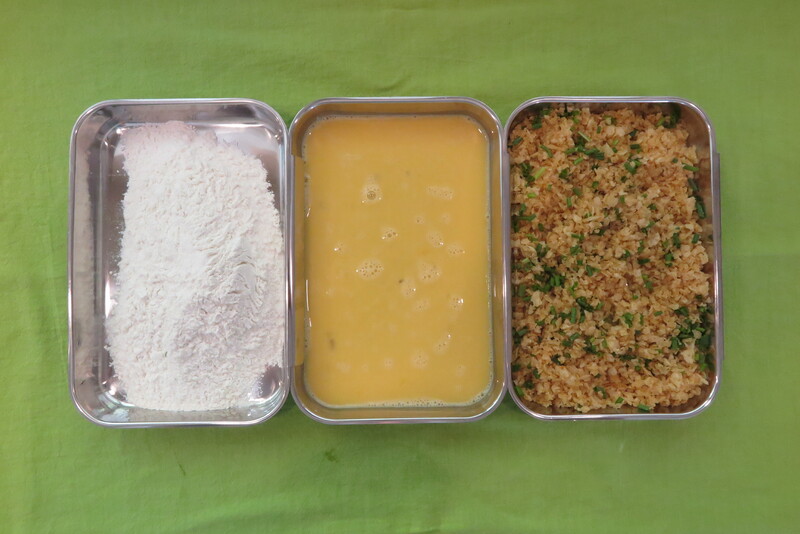 In three dredging pans; place flour, whisked eggs and chips with fresh chives. Coat zucchini in flour; shaking off excess flour. Dip each zucchini round into the egg mixture. Then dip each round in the crushed potato chips, pressing the chips into the zucchini. Arrange the rounds in a single layer on the lined baking sheet. Spray top of zucchini with cooking spray. Bake for 20 minutes, turning chips over halfway through the cooking time. 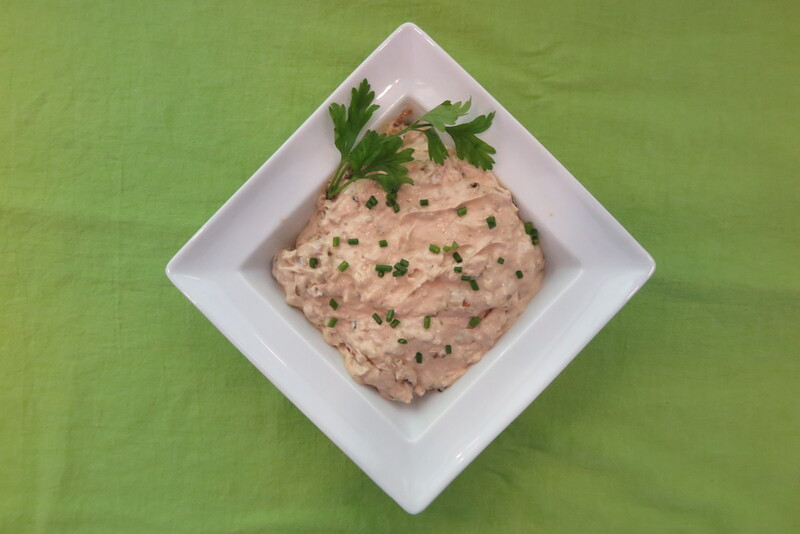 Serve immediately with Caramelized Onion & Horseradish Dip. In a large sauté pan over medium low heat, add the oil and butter. Once the butter has melted, add the onions and sauté for 35 minutes, stirring occasionally. 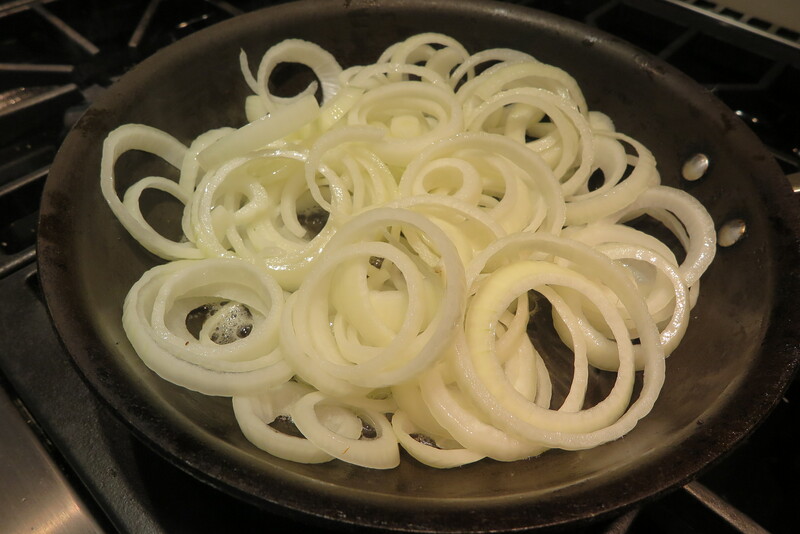 It is important to use a large sauté pan so your onions caramelize rather than steam. Try not to play too much by stirring (it’s very tempting to keep playing with them! ), the onions need to brown. 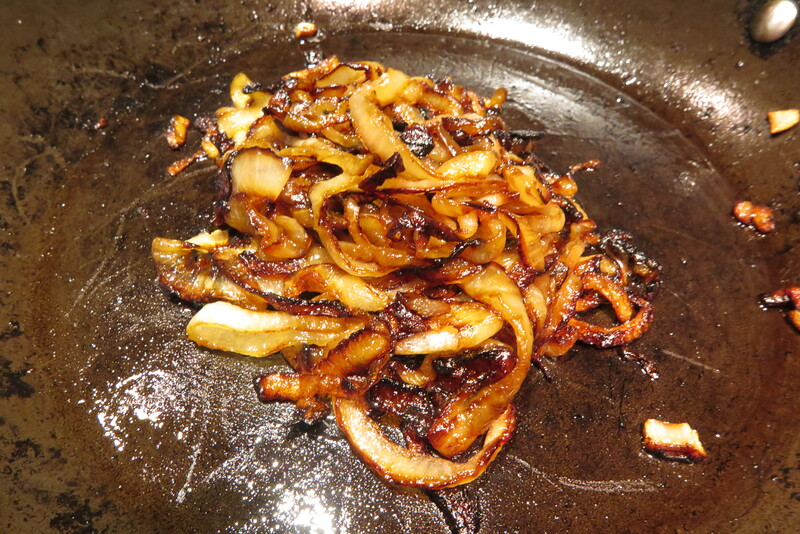 Cook another 10-15 minutes, stirring often to avoid burning, or until the onions are toasty brown and caramelized. Add the other teaspoon of Worcestershire; continue cooking until all the moisture has evaporated. Set to the side and cool. Chop into ¼ inch pieces. Combine sour cream, mayonnaise, celery salt, horseradish, the additional teaspoon of Worcestershire, salt & pepper. Add caramelized onions. Chill for 1 hour or overnight.